We offer several multiple entry nomination packages as a cost effective way to promote and push your brand identity. Utilize the nomination packages to benefit from bulk entry discounts. What is a Nomination Ticket & Package? 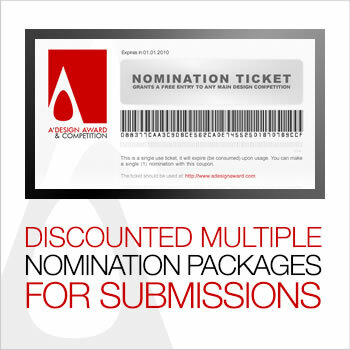 Nomination Packages contain multiple nomination tickets with a discount. Nomination Tickets are prepaid entrance coupons that grants you a free entry to A' Design Award and Competition. Different ticket options are available for Designers, Businesses and Institutions based on Account Type. Learn more about Account Types. To see the discounted packages, click on a relevant package based on your account type. We remind you that there are not any other "further fees" as requested by other awards. Contains information about the bulk submission tickets and packages aimed at Designers, Architects, Artists and Small to Medium Sized Design Studios, Architecture Offices etc. Valid for Professional and Young account types. Contains information about the bulk submission tickets and packages aimed at Design Studios, Architecture Offices, Creative Design Agencies, Design Oriented Companies and other companies that produce design products and goods to promote design oriented products, designers and companies. Valid for Enterprise, Agency, Media and Start-Up account types. Contains information about the bulk submission tickets and packages aimed at Design Institutions and Universities, Design Associations and Government Level Incentives to promote and support inner design communities. Valid for Non-Profit, Government and Academic account types. Contains information about how to use the nomination tickets when nominating your designs for the A' Design Award and Competitions. 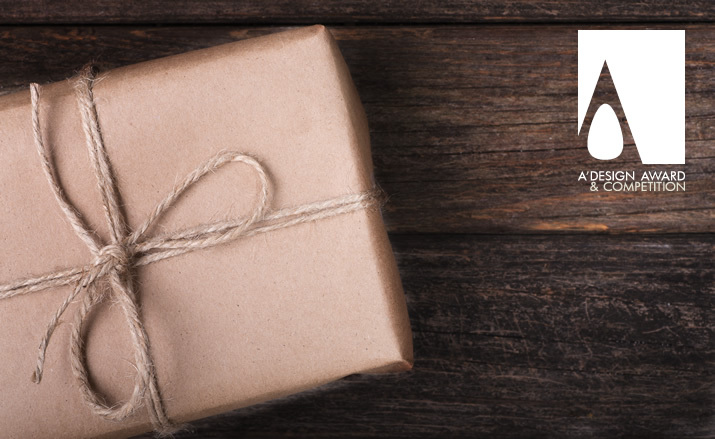 Nomination package payments can be made through Bank Transfer / Electronic Fund Transfer EFT / Wiretransfer, to learn more about how to perform such payments, click here. Single nomination tickets allow you to purchase a submission ticket within any competition period, which could be used to make a nomination later. These tickets have different prices based on the competition period, and could be especially useful in situations for example where you want to catch the nomination deadline but your design is not ready for nomination. • 30% Digital Edition nomination tickets sold while the Exhibition is still open. • Learn about Design PR Club membership and nomination packages. Please contact us if you are interested in any of the nomination packages or if you have questions or comments regarding different nomination packages. Did you know that there are "no further fees", that is actually important for you to know as a participant and could help you save a lot on your design award entry.